It eliminates the need for cold water storage tanks in the loft area. Good option if you ar e considering converting your loft space into living space. It also gives a very high pr essure shower without the need for a mechanical pump This is not only a saving on the cost of a shower pump but, also eliminates the noise element involved with mechanical pumps. 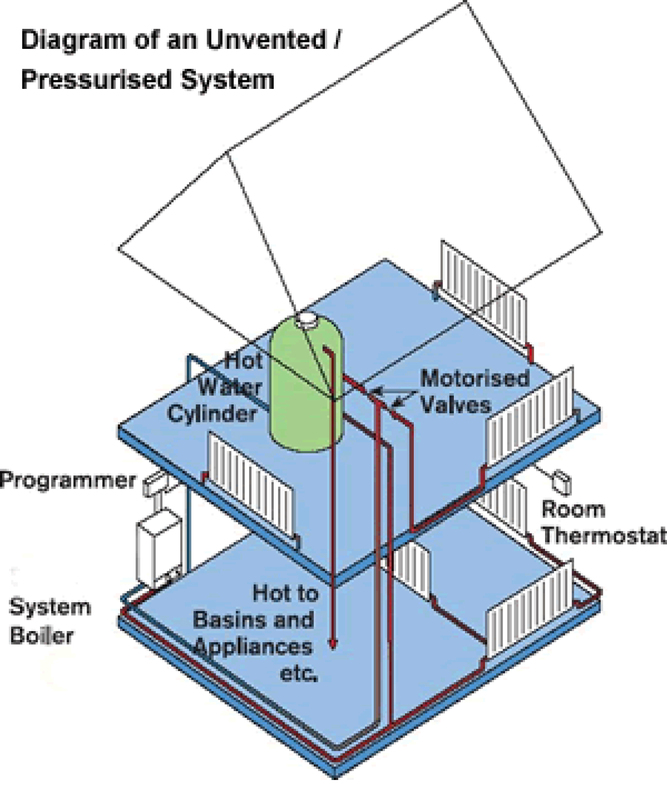 This type of system is suitable for all applications as it has all the benefits of both the other types of system. So long as the incoming mains water pressure is high enough this system offers solutions to almost all possible scenarios, provided it is within your budget! Talk to us today about Unvented systems?